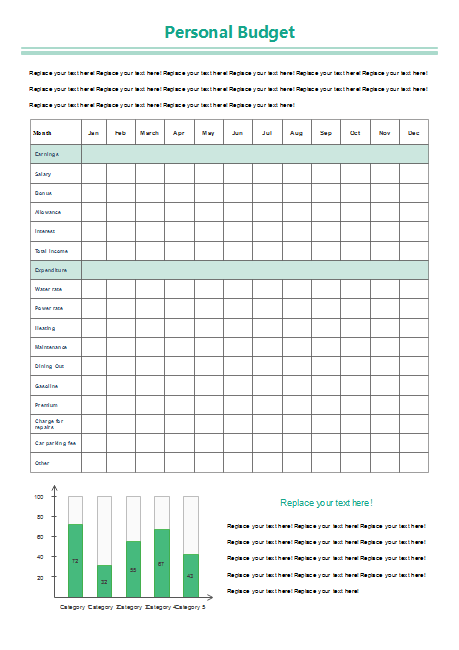 Description: An editable personal budget form is available to download. You can change the table row and column number, and change the description text. What's more, a column chart is added to the form to show the trend of the budget during a certain time.